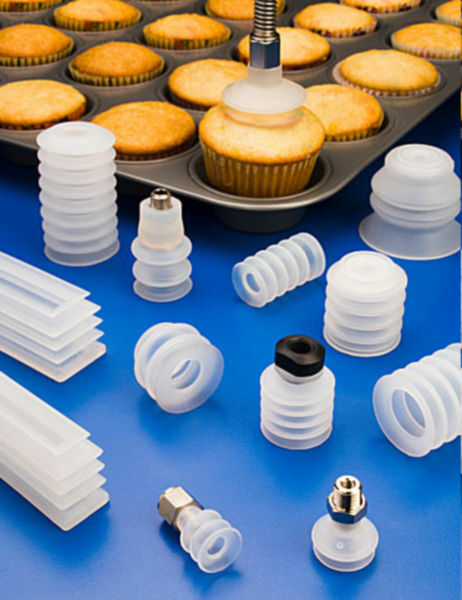 ANVER manufactures a wide range of Special Vacuum Cups and suction Cups from food grade Translucent Silicon (SIT). 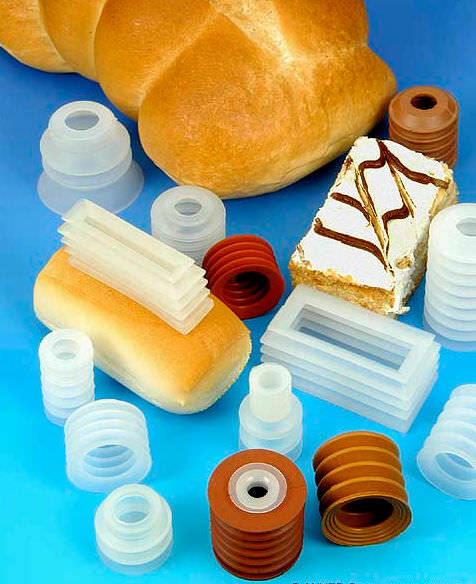 Suitable for applications for handling breads, cakes, rolls, pizza shells, pies and homogeneous items i.e. 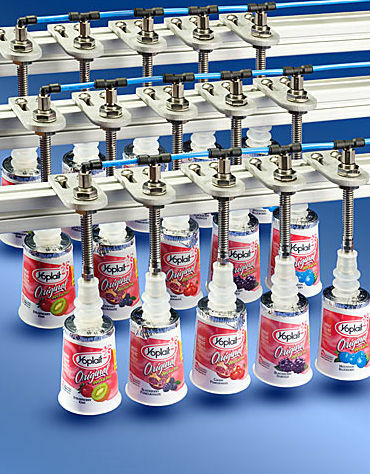 items handled with low vacuum, large air flow systems. These cups can handle temperature ranges of -60° F to +400° F (-51° C to +204° C) thus can be directly used at the exit point of the ovens having adequate capabilities to handle heavy cakes preventing product damage. 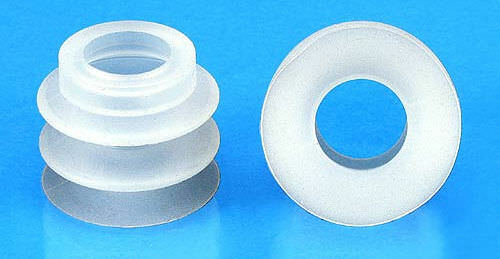 Available on various shapes and sizes from round to rectangular supports variety of product shapes and sizes. 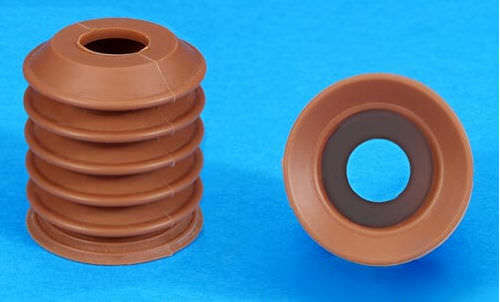 Metal Detectable Silicon (MD) Cups are also available as an option.